CJ Critt, an Audie Nominee and one of AudioFile Magazine’s, Best Voices of 2008, is known to many audio book fans, as the Voice of America’s favorite bounty hunter, Stephanie Plum, and has brought to life the work of Anne Tyler, Larry McMurtry, Patricia Cornwell, Margaret Maron, Haven Kimmel, Joan Hess, and Barbara Kingsolver, among many others, in 160 works of Popular Fiction for Harper Audio, Recorded Books, and BBC America, garnering a dozen EARPHONES awards and fans nationwide. On stage, she performs across the country, with favorite excerpts from her audio-book repertoire, in her live program, TALES FROM THE CRITT. Her inspired, solo show, BY RAIL was developed with the Terra Nova Collective in NYC and debuted at PS 122 on Manhattan’s Lower East Side, followed by the KD Theater in Dallas, TX and numerous library and festival performances. Once a “Ring-Around-the-Collar Mom,” doing scores of network television commercials, in New York City, CJ is a veteran of Broadway, Off Broadway, Stand-up and the spoken word gauntlet - known as the Poetry Slam. Critt won a Cable Ace Award for writing, producing and hosting the TV pilot, Words Aloud! She is the creator and director of THE ANGRY GIRL SEXTET, a live performance a cappella, all chick cocktail of liquid language. Her original works, Suicide at 8 and Smoking Lips debuted at Dallas’ celebrated Big D Festival. CJ’s Cursed With Bigness, played on Theater Row in NYC, at Pulse Theater, also at Arts and Letters Live in North Texas, and was presented by Soul Rep at the Dallas Theater Center. 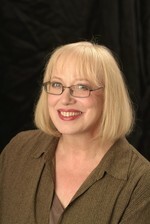 She has coached solo show clients, including John Kawie’s, NY Fringe Festival, hit, Brain Freeze. As a staff writer at Radio Disney, she created hundreds of commercial spots and the on-air features: We The Peeps! (Election language demystified for kids) House Of Friends (Good manners for toddler set) & Theater of the B-Zarre. creative writing and performance workshop where everyone becomes an instant author. Her newest workshop, Unleash Your Story Time Diva, is an interactive class with practical warm-ups and workout for beginning to advanced storytellers. & can be seen on YouTube or CJ’s website – cjcritt.com.